Shares were down almost 9% Thursday morning, getting close to key support in the $250 area. 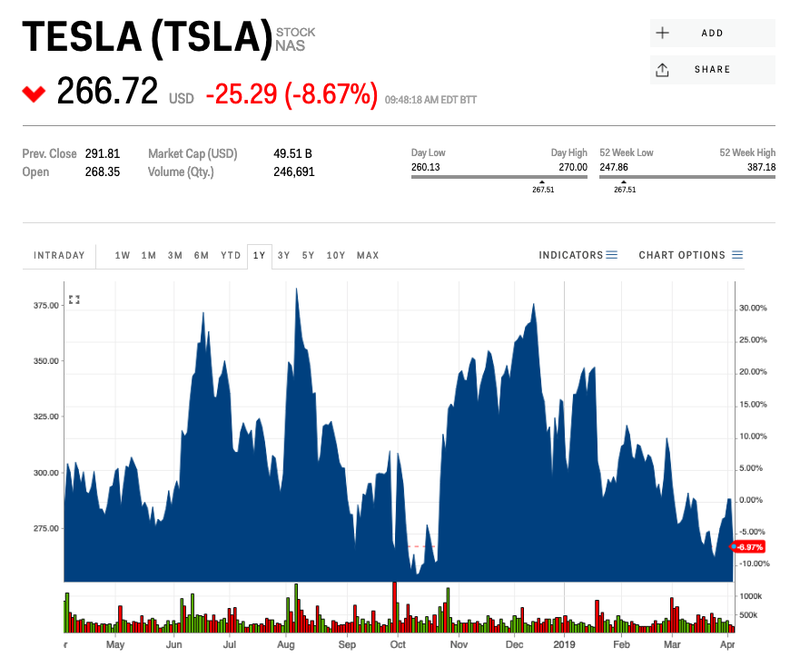 Tesla shares were down almost 9% Thursday morning, trading below $267 apiece, after the company’s first-quarter deliveries fell short of expectations. The negative reaction from Wall Street put pressure on Tesla shares, sending them below the $270 mark ahead of Thursday’s opening bell. Traders will now be watching the $260 support closely, as shares have not closed below there since March 2017.